Metro's Silver Line is finally going to see the agency's newest railcars -- the 7000 series. Starting around June 25, two new trains will be assigned to the Silver Line on weekdays to provide additional capacity, News4's transportation reporter Adam Tuss has learned. The Silver Line has run with older and shorter 6-car trains since it opened in July 2014 because its ridership is lower than other lines. 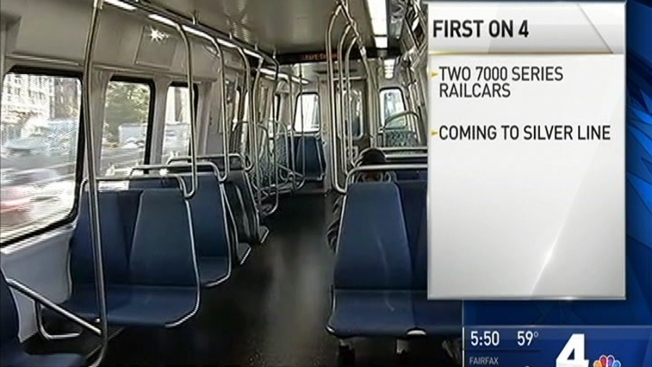 Metro’s 7000-series trains all feature 8 railcars. Metro's General Manager is expected to announce the news Wednesday at an event with the Metropolitan Washington Airports Authority. The Airports Authority was instrumental in providing funding for the new cars, along with the Silver Line.